​Inspired by the global blockbuster franchise, the attraction will take guests on a thrilling journey that fuses captivating storytelling with state-of-the art visual effects for a highly engaging experience. ​Created and produced by DreamWorks Animation and Universal Creative, “Kung Fu Panda: The Emperor’s Quest” recounts a plot-filled story whereby on the morning of The Emperor’s Great Feast of Heroes, dragon warrior Po embarks on a wild and perilous mission to deliver the rare and precious Liquid of Limitless Power to the Palace, while enlisting guests to join him on the exciting adventure filled with raging rapids, river pirates, awesome magic and Kung Fu. 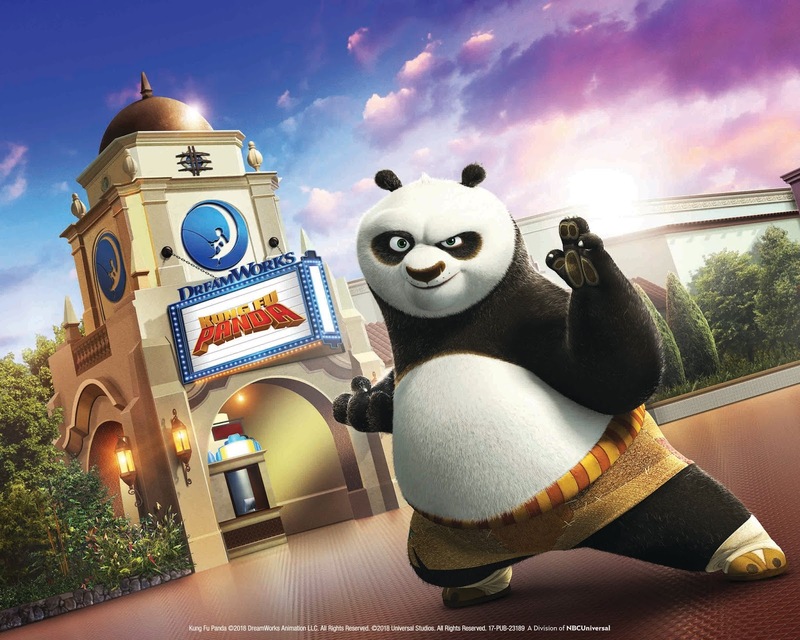 ​With cutting-edge technology at the forefront of the multi-sensory attraction, “Kung Fu Panda: The Emperor’s Quest” will introduce the first-ever integration of interior projection mapping designed toengulf guests in 180 degrees of immersive adventure. The newly constructed building that houses the DreamWorks Theatre is inspired by Mission revival architecture and harkens back to the Golden Age of Hollywood’s Art Deco period of the 1920s, including a box office ticket seller booth, reminiscent of the time period and staffed by a three-dimensional Pinocchio character asleep on the job. ​As guests navigate past the ticket booth, through the flourishing outdoor garden and into the theatre queue, they will encounter a series of 36 movie posters that pay homage to DreamWorks Animation films.